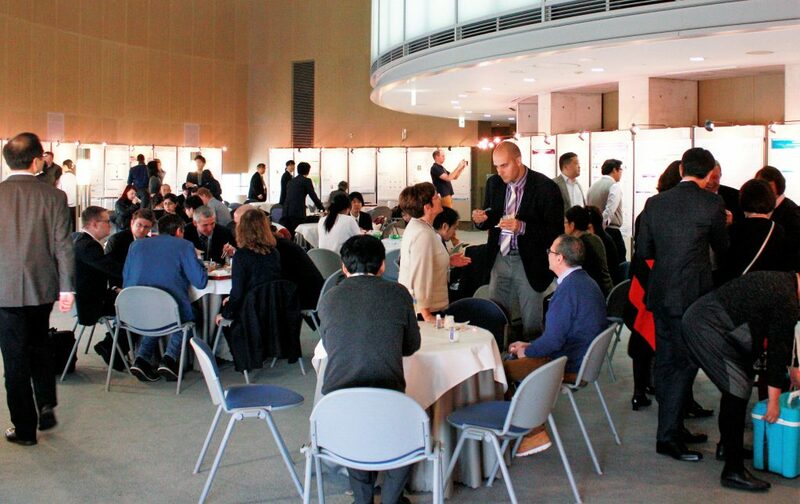 The 3rd Aquaphotomics International Symposium was held from 2 to 6 December at the Westin Awaji Island Resort situated at a beautiful location of Awaji Island in Hyogo Prefecture, Japan. This year’s Symposium theme – “Water – Exploring Water Molecular Systems in Nature” gathered researchers from all around world to present their findings and learn more about water’s incredible properties, and functions in various aqueous and biological systems. More than 140 delegates from 20 countries during the course of five days had an opportunity to attend the bilingual open lecture, pre-conference workshop, listen to 36 keynote and invited lectures and see 28 poster presentations. 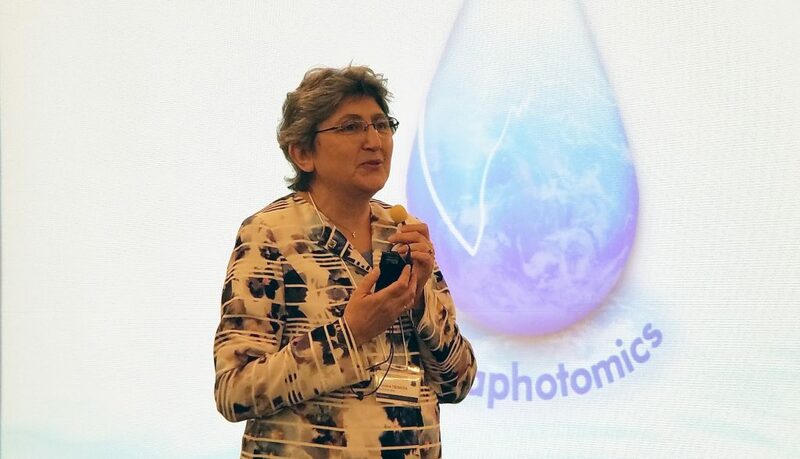 The Symposium was opened by its chair-person and founder of aquaphotomics prof. Dr Roumiana Tsenkova, who during a lecture open to all the public presented the main concepts, principles and contributions of aquaphotomics in not only the field of water science, but life science and technological applications that can stem from the utilization of the acquired knowledge. The lecture was followed by an aquaphotomics workshop which intended to help attendants navigate the complex world of chemometrics and data analysis used in aquaphotomics. Dr Dusan Kojic from Keyo University in Tokyo shared his approach for enhancing subtle differences in complex spectra of aqueous systems by the application of spectral component analysis. Dr Ali Gahkani, from Aunir, United Kingdom, this year’s winner of the Aquaphotomics shootout session at the at the International Diffuse Reflectance Conference (IDRC), in Chambersburg, Pennsylvania, through an interactive presentation showed the way to drastically improve effectiveness of quantification and classification of the NIR spectra by applying the covariance weighting approach aimed at elimination of interferent signal. Dr.Med.Uni. Bernhard Pollner from Medical University of Innsbruck, Austria and Dr. Zoltan Kovacs, Associate Professor from Szent Istvan University, Hungary introduced the “aquap2” software package for R-project programming environment which they themselves developed specifically to be suited for the aquaphotomics data analysis. Dr. Federiko Marini, Associate Professor at Sapienza University of Rome and an expert in chemometrics shared his advices on which chemometric tools he found to be most useful for the aquaphotomics data analysis. The workshops were really well received, attracted numerous questions from the audience and we could only hope that the shared experience of the workshop instructors would contribute to better data analysis in aquaphotomics community as well as result in new publications and perhaps novel applications. audience. The full list of speakers, their biographies and presentations can be found at the official conference website (https://conference.aquaphotomics.com/ ). This year’s Symposium also made a significant step towards the future development of aquaphotomics not only as a scientific field, but also as an international organization. The efforts of the past few years finally came to fruition with the establishment of Aquaphotomics International Society (IAQPS). The Society is established with the aim to promote and facilitate integration of aquaphotomics knowledge into all areas of life sciences, thereby contributing to better understanding of water-light interaction and structure and functionalities of water species in aqueous and biological systems. During the 1st General Assembly officially, after the attendees were introduced to the organizational structure, vision and mission, by majority of the votes Prof. Dr. Roumiana Tsenkova was elected as its president, Univ.-Prof.Mag.Dr. Christian Huck and Prof. Dr. Masato Yasui were elected as vice-presidents and Prof. Dr. Shigeaki Morita as a treasurer, while Dr Everine van de Kraats will serve as a secretary of the Society. More than 15 officers in the Society Board will be in charge of European and Japanese liaison, as well as for development of various aspects of aquaphotomics research, technological development, promotion, education and others. Prof. Dr. Mutsuo Iwamoto, Prof. Dr. Yukihiro Ozaki, and Prof. Dr. Hiro-o Hamaguchi, will serve as members of the The Advisory Board of the Society. Currently, the membership is free for all who are interested in aquaphotomics (https://www.aquaphotomics.com/). It is expected that Society will play pivotal role in the future development of aquaphotomics-based research and aquaphotomics-based technological application. The best poster presenters were selected based on the largest number of votes from the delegates. The Poster Awarding Committee with three judges – Prof. Dr. Xuegang Shao from Nanking University, Univ.-Prof.Mag.Dr. Christian Huck from University of Innsbruck and Dr. Cristina Malegori from University of Genova had a difficult task of monitoring the voting. Among 28 posters displayed, three caught the most attention from the audience. The best posters from this year’s symposium were presented by Ms. Xiaoyu Cui from Nankai University in China (High dimensional chemometric algorithms for analyzing temperature dependent near infrared spectra), Prof. Dr. Angelina Kisselova, from Medical University in Sofia, Bulgaria (Pilot study of mouthwash Yume water) and Ms. Yuri Nakamura from Isol Technica, Japan (Use of the functional water for waterproofing on the highway concrete slab). The Symposium also had a rich social program – the guests had an opportunity to visit the magnificent gardens of Westin Awaji Island Resort, during the Banquet they experienced the famous Tea ceremony and enjoyed marimba musical pieces and traditional Japanese music. During the final two days a tour of the Japanese sacred mountain Mt. Koya was organized, where guests visited several temple complexes and then afterwards, had a relaxing time at the Yunosato spa in Wakayama province. The Symposium was deemed a great success and a very inspirational time for all who attended.